During my recent visit to the local grocery store HEB, I found blood oranges, yes, I am trying blood oranges for the first time. 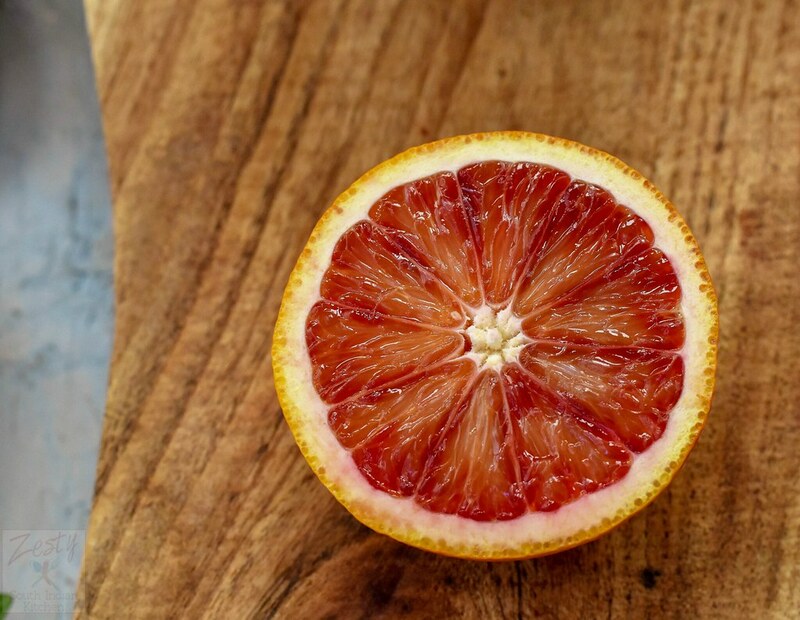 I have seen earlier in other blogs about blood oranges, but never tried myself. Originally my plan was to make drink with it, but I didn’t want it in the start of the week. So, decided to make a smoothie bowl, but when I mixed everything it turned out be not thick as it should be for smoothie bowl. But it was of drinking consistency, thus Carrot Blood Orange Strawberry Oatmeal Smoothie was born. 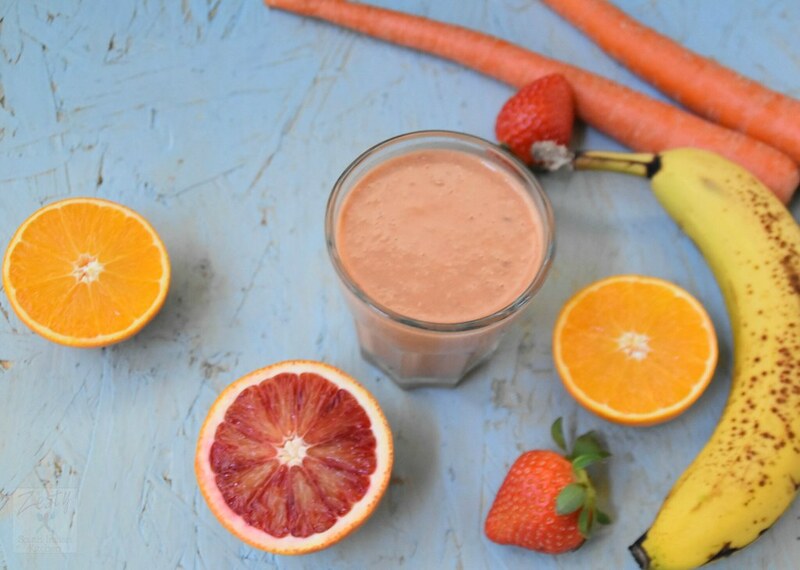 This is a wholesome smoothie and great to start the day, yes rich in Vitamin C from orange, blood oranges and strawberries, Vitamin A from Carrot. It is further enriched with banana and oatmeal. What else do you want for your perfect breakfast, oranges, berries, banana and oatmeal. Blood orange I have in hand was slightly tart, so I used Nectevia (which is Fortified Agave Nectar with Stevia). If you don’t want to use Nectevia, you can add some dates. If you want to make it as a smoothie bowl I think you need creamy smoothie, add ½ avocado maybe I will try that next time. My daughter me told it is delicious can you make it for my breakfast. I think if you want color you need to add raspberry, maybe next time. For making this smoothie first you need to make carrot juice, I made carrot juice with fresh carrots. 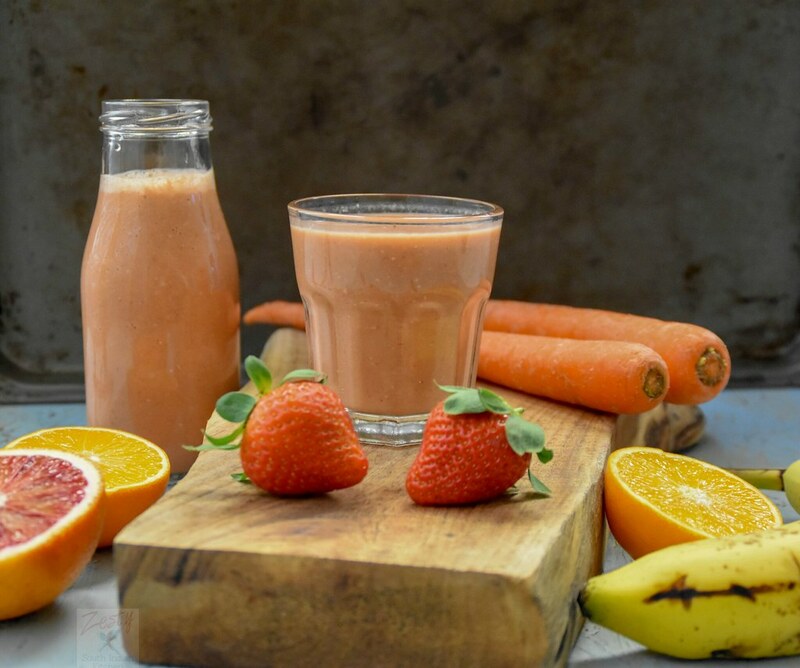 Even though fresh is best, if you are out of time make carrot juice the night before and refrigerate it, next morning make this Carrot blood orange strawberry oatmeal smoothie with rest of ingredients. If you are oatmeal fan like me then this smoothie is one for you. I have added old fashioned oats, you can use gluten free one also. This is really a filling smoothie and you won’t be hungry till lunch. After all a breakfast is supposed to be with oatmeal, oranges and strawberries, so why wait take your blender or juicer. Give it a try immediately and give me the feedback, healthy smoothie never hurts any diet plan. 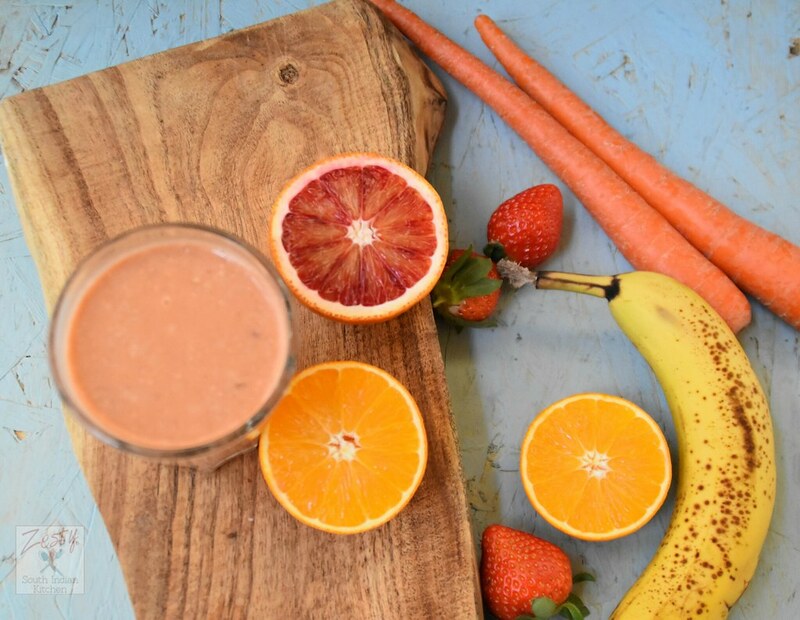 Delicious diabetic friendly vitamin C rich smoothie made with fresh carrot juice, blood orange, orange, strawberry,banana and oatmeal. Great to start your day with it. 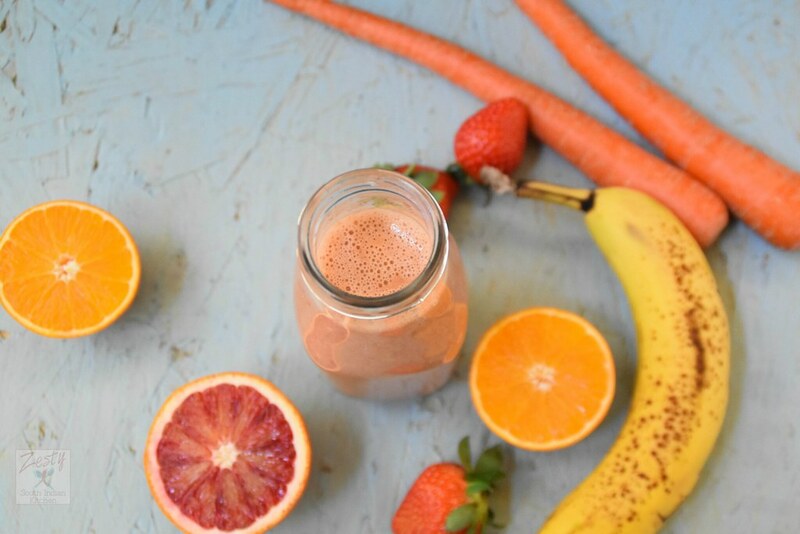 This smoothie is just what I need to boost up after a workout! Looks delicious and healthy! Great smoothie recipe!! Love your wood block in your photos too!! This look so refreshing! Great flavor combinations. Lovely smoothie very nice combination and so refreshing I want to try it soon!